This spice is used throughout Central Asia, especially in India as it is a very critical cooking ingredient for different home remedies. 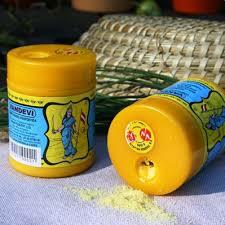 Asafoetida has a warming quality which is good for excess Vata and Pitta. Since it is a carminative, it is able to warm the digestive tract to ensure proper digestion and circulation takes place. Asafoetida will promote proper assimilation of nutrients in the small intestine. 1. Add ¼ th tsp of asafoetida to Butter milk & drink it. Useful in gastric trouble, stomach ache, indigestion. 2. Apply warm paste of asafoetida on the abdomen for gastric trouble, worms, stomach ache due to urine retention. 3. Add oil or ghee fried asafoetida to various vegetable & grain dishes. This will stimulate digestion, improves taste & appetite, and prevents gastric discomfort.